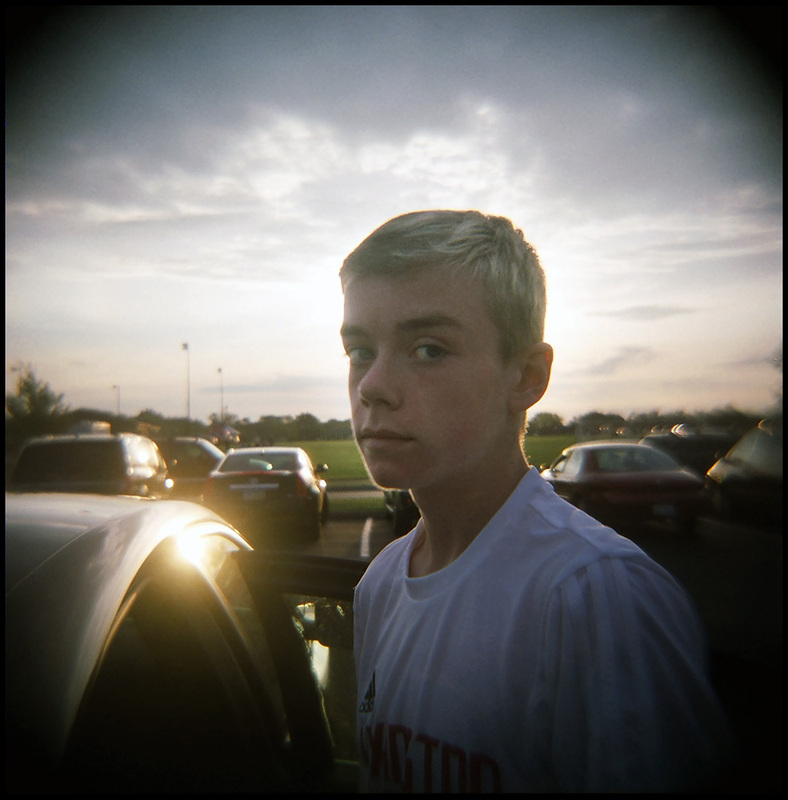 this photo is a classic example as to why i’m just not really a good photographer. no patience, no willingness to watch the scene unfold through the viewfinder, no intellectual moxie when it comes to “the decisive moment.” i guess that is why there are always too many words to accompany the images around here. always searching to explain the context of my clicks of the shutter. 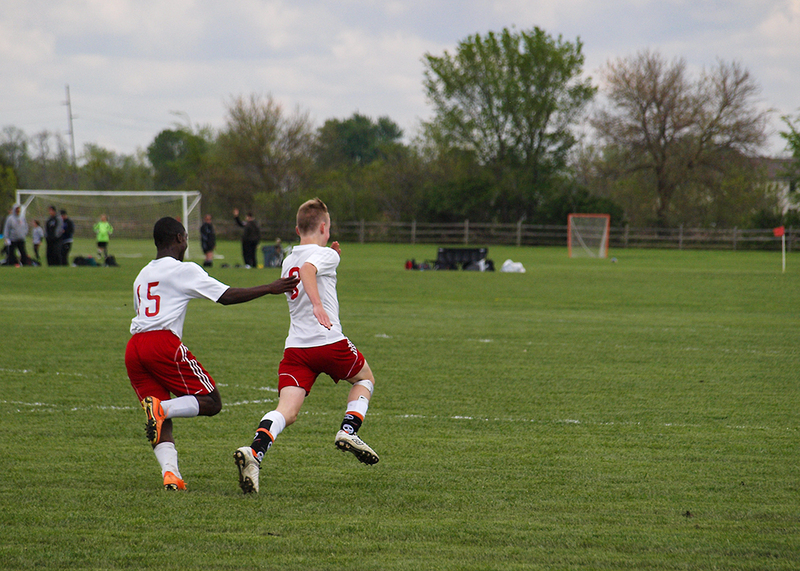 you see, without the context, this is just two boys running, in soccer strips, happily across the green grass. the photographer (me) is in the wrong position, behind them, missing the joy in their faces. i’m also too far away and the frame is basically uninviting. but when you know the context, or i should say, “because i know the context,” there’s something more to the image. this moment is part of a series of moments, some photographed, some not, that included sixty-eight and a half minutes of soccer, a struggle, falling behind, tying the score late and then a game winner before the 70th minute that secures promotion next season to the top league available for the team. only seconds before this frame was captured, my boy managed to find the back of the net with 21 other boys crowded into the box. and with the goal, he sprinted out of the crowd towards the other end of the field in exaltation with teammates streaming behind. this shot captured him and the first kid to him on the sprint, touching his back in congratulations sure, but there’s so much more than just that. context–team, brotherhood, competition, battle, family, victory, relief it’s all there, i just didn’t do my job showing enough of it. but i assure you we both won’t forget the context, with or without the good photography to prove it. 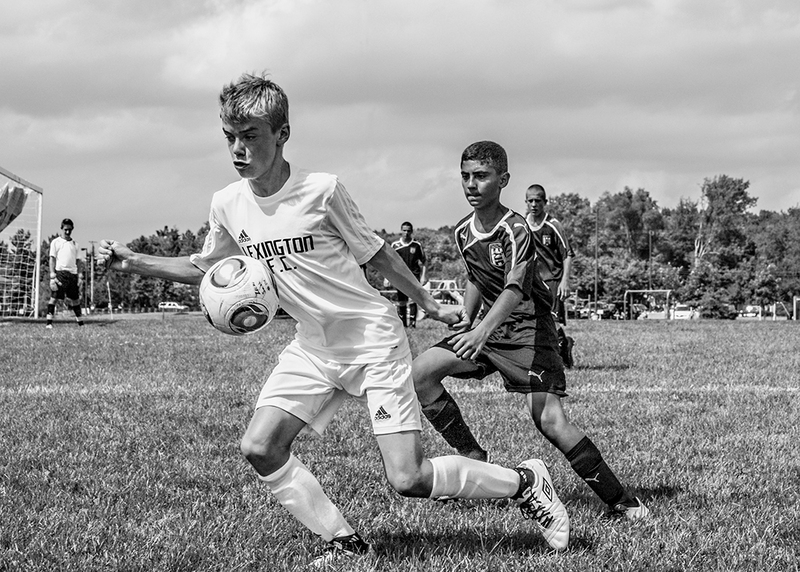 in a mere two days, the struggle begins again, Spring springs into soccer season. the fun, the pain, the joy, the want, the jubilation, the disappointment. i would not trade some of these moments for anything, here’s to hours in the car for a few moments of beauty. the first weekend, the Cincy Elite College Showcase, can’t wait. 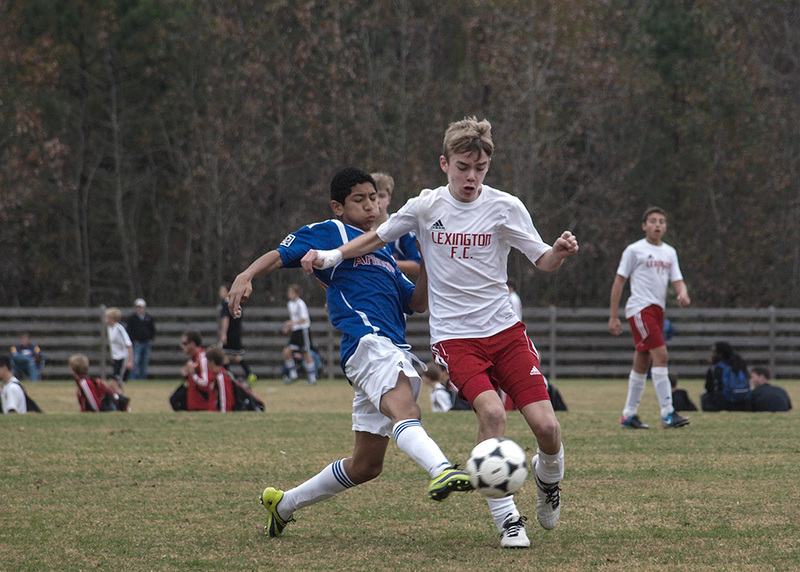 this is a late Fall image, against the #1 team in the country at our age group at the CASL tournament. there’s only one way to get better, play the best. yes, yes, it approaches. 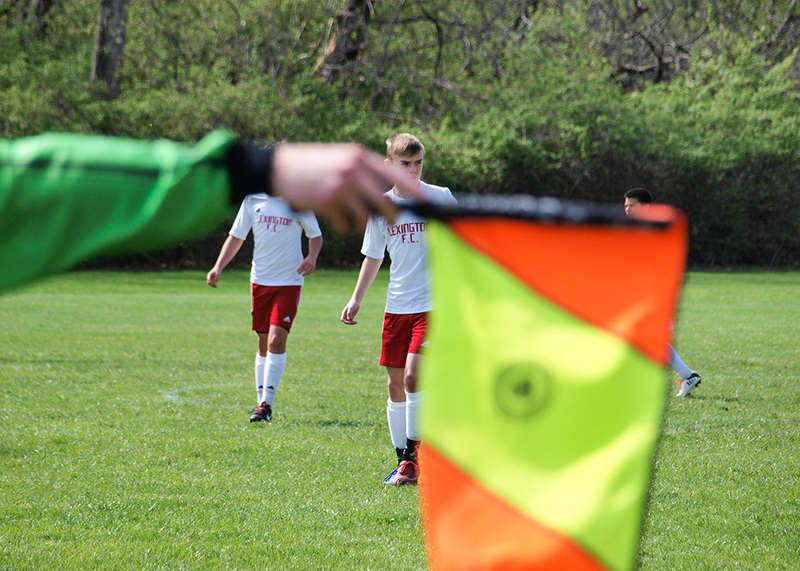 the spring season of soccer in the midwest/south. miles on the road between kentucky, ohio, virginia, tennessee, indiana and the like. dreams of trophies and cups. and getting better, always better–ball to foot, earphones to head, foot to gas, smiles to faces. sun-up will be here before we know it and we will start that day. 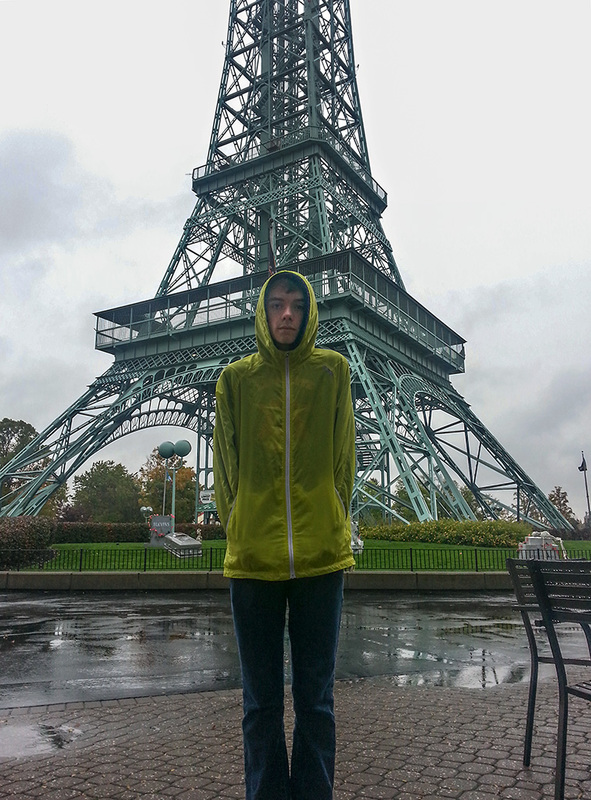 boy memories should always include, drizzle, buckeyes, roller coasters, faux eiffel towers, wet feet, white knuckles, your dad’s jacket and laughing at yourself and others equally. 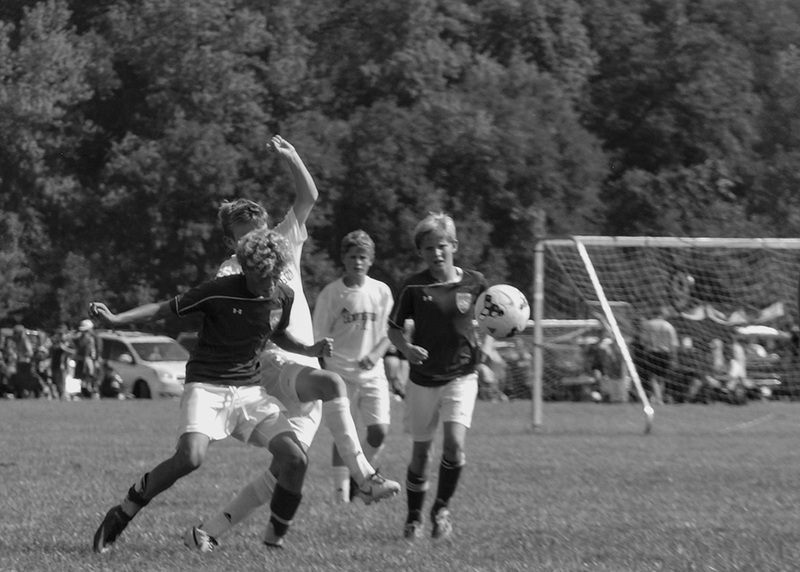 Labor Day weekend generally means a ton of Fall soccer. that means get your damned wheels on. continue to make the runs even if you don’t get the ball every time, because sooner or later, you will and then you have to shake them off your shoulder and go to the box. then, of course, leave something there. 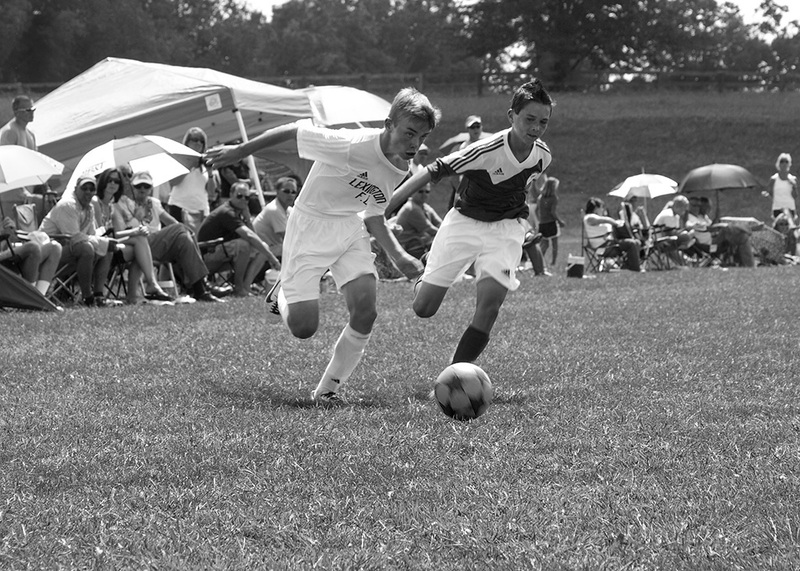 fun weekend of round ball on the ground, soccer in the Cincy area as the boys from Lexington decided to go ahead and win the whole damned tournament. 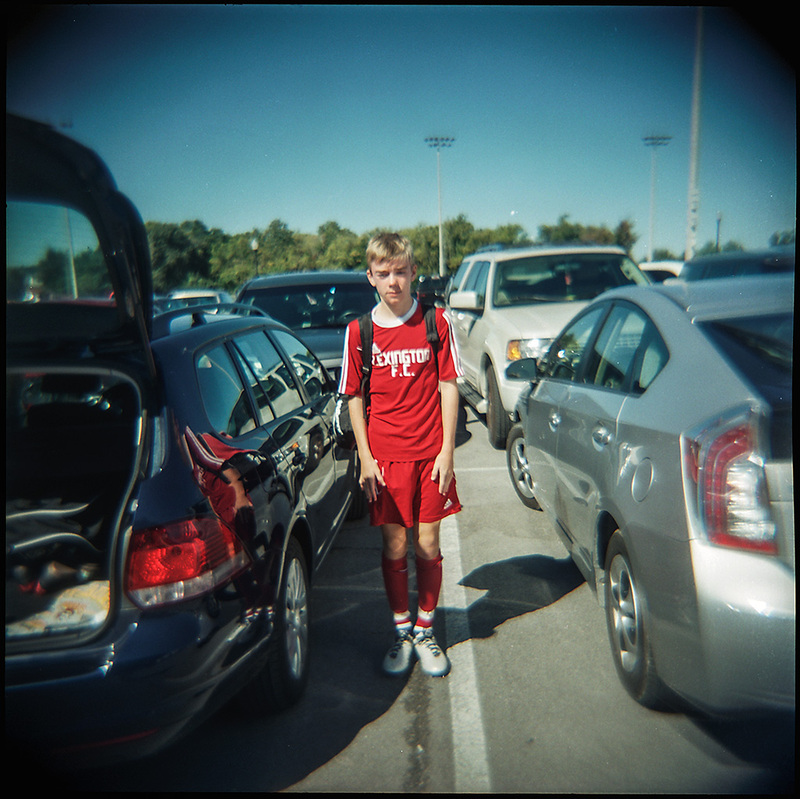 in roughly 280 minutes of soccer, the allowed one goal and that was in the final to the current Kentucky State Cup champion Kings Hammer Academy…nice slice of revenge to beat them soundly, 3-1. but more importantly, an apt birthday present for a kid who has truly put in one hellacious amount of soccer work over the spring and summer. 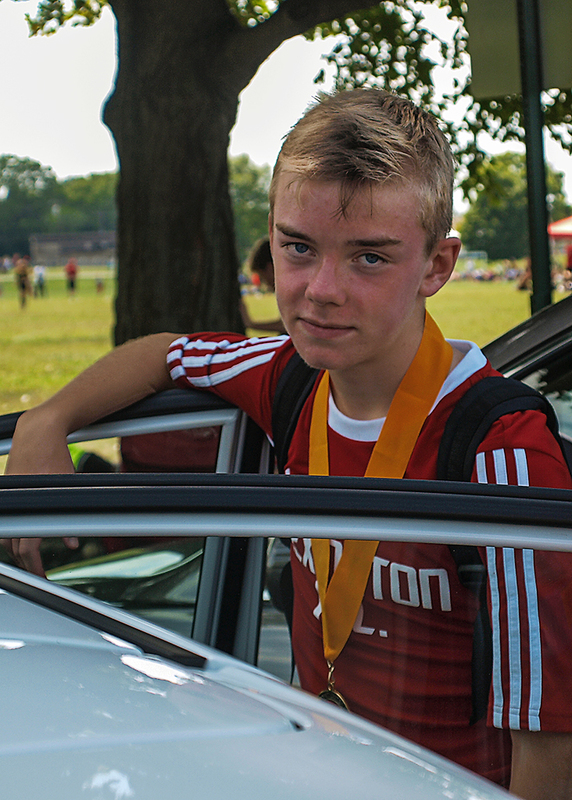 this shot serves as the final photo of year 13. a gold medal around the neck, a smile at the car door, a twinkle of something accomplished in the eye. what you can’t see in the photo is me, behind the camera, proud, happy for him and his team but with a twinge of sadness as the moments of boyhood continue to dissolve right before my eyes. he grows in every way, every day.